Building your own 3D printer is fantastic. You learn all there is to know about it and how to fix it should something go wrong. 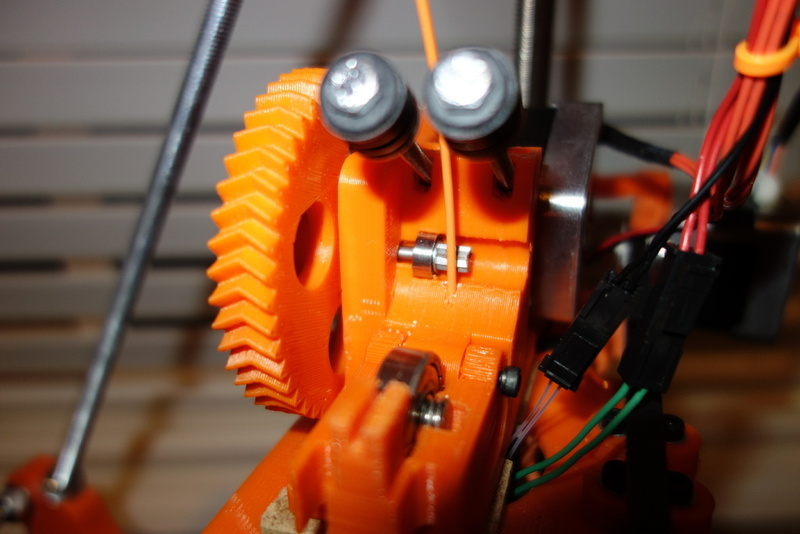 Most people out there can probably build a Prusa Mendel with a little bit of time and patience. There are however two parts of a 3D printer that I feel are the most difficult to produce for people wanting to get into 3D printing. Firstly is the hot-end – which often requires some metal turning on a lathe. Second is the extruder – or more specifically the ‘hobbed’ nut of the extruder. While it is possible to make a hobbed nut with a Dremel like tool – it is time consuming and fiddly. Now there is an alternative. 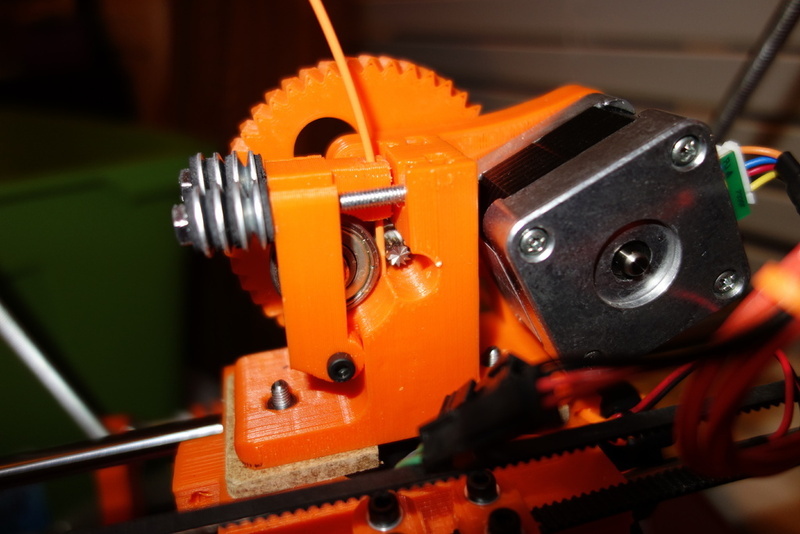 A user on Thingiverse – profezzorn – has modified a Wade’s extruder to use nothing more then a Dremel #196 bit. 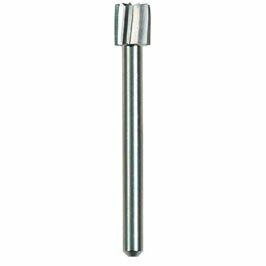 Unlike a hand made hobbed nut this will have precisely spaced teeth and given that it is meant for cutting anything from wood to soft metals – it should have a good bite into the filament. Just be careful not to tighten it too much it might go through!